Welcome to CATIE’s first blog post. 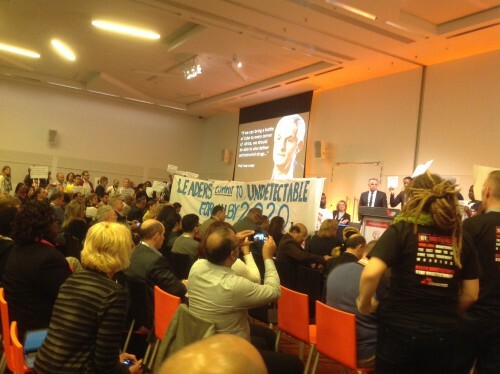 Launching what we hope will be an invigorating forum for discussion, it is fitting in this first post to focus on a major recent event in our movement – AIDS 2014, recently held in Melbourne, Australia. This International AIDS Society conference received more than its usual attention from the mainstream media, due to the international tragedy of Flight MH 17, carrying six delegates on the way to the conference, including IAS Past President Dr. Joep Lange. For many Canadian delegates the news received during the conference that friend and colleague Elisse Zack, Executive Director of the Canadian Working Group on HIV and Rehabilitation, was in palliative care, meant there was a double sense of loss associated with this year’s conference. Each conference has its own legacy. AIDS 2012 is remembered for its emphasis on the concept of the treatment cascade, the continuum of care illustrated by the steps from diagnosis to full benefit from care and treatment (suppressed viral load). AIDS 2014 had multiple examples of how the treatment/engagement cascade is helpful in exposing the strengths and weaknesses of the healthcare system, and its utility for addressing the gaps between steps and improving sustained engagement. AIDS 2014 was also stronger than previous conferences in its overall emphasis on implementing evidence-based programming, and the importance of human rights in the response. If this is achieved, modelling indicates that we will see the end of HIV as an epidemic disease by 2030. Current estimates from around the world on the proportion of people with HIV who have full viral suppression vary greatly – United States (25%); Sub-Saharan Africa (29%); Brazil (33%); Australia (34%); Ontario (28%-42%); British Columbia (35%); France (52%) and the United Kingdom (61%). These numbers tell us that we have a long way to go to reach the 90/90/90 treatment targets set for 2020. We need to find innovative and effective ways to diagnose more people, get more people into care and on treatment and to ensure full viral suppression if we are going to hit these targets. While there is no national treatment cascade for Canada, Ontario and British Columbia have each gathered and collated data on their provincial cascade. What it tells us is that we are behind other countries with similar publicly-funded health systems. Surprisingly, engagement in our cascades appears to be only slightly better than sub-Saharan Africa despite our comparatively well-funded health system. In fact, once people are diagnosed, sub-Saharan Africa does better than us in terms of getting them on treatment and suppressing viral load. Targets are important. Targets promote accountability. From the community perspective, AIDS 2014 was a strong conference, with an emphasis on key populations and the critical importance of human rights for these key populations.